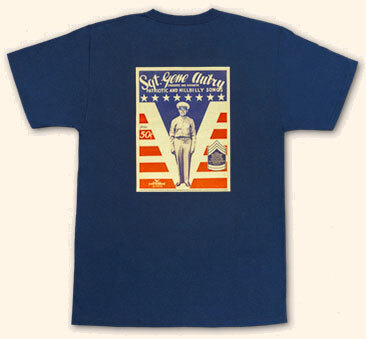 July 2017 marks the 75th anniversary of Gene Autry's enlistment in the U. S. military during World War II. The Autry Museum of the American West is commemorating Gene's military service with a special museum case titled "The Cowboy Is a Patriot: Gene Autry in World War II." Among the items on display from this period of Gene's life is the 1943 songbook, Sgt. 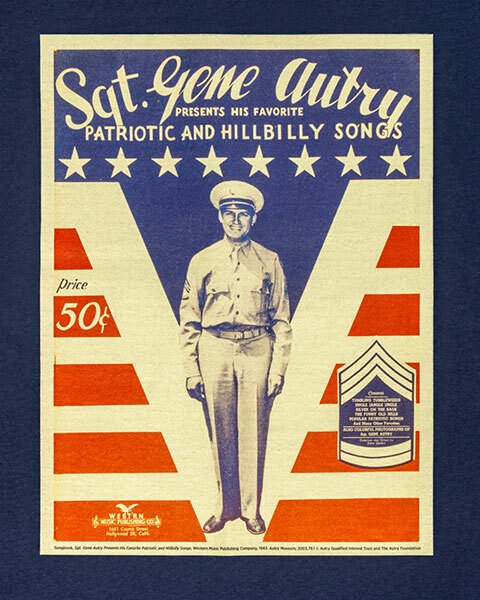 Gene Autry Presents His Favorite Patriotic and Hillbilly Songs. 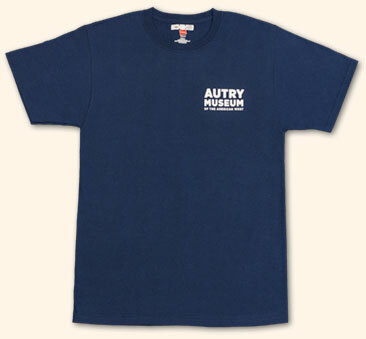 We've chosen this colorful cover for a new Gene Autry T-shirt, exclusive to the Autry Museum Store. 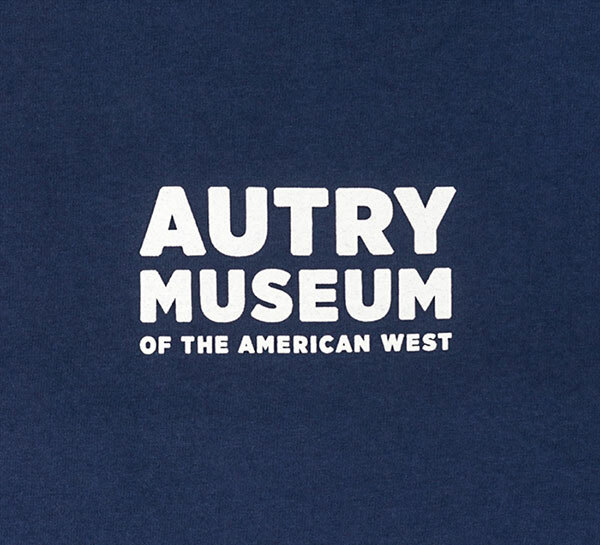 The front of the shirt has the Autry Museum of the American West name and the songbook cover is on the back. It is available for a limited time. This dark-blue shirt is 100% cotton. Read more about "The Cowboy Is a Patriot: Gene Autry in World War II" Autry Museum Case here.